Once upon a time, on a fine Saturday, the President’s daughter had a lavish wedding and guests went home with gold-plated iPhones as souvenirs. But on the following Monday, a bomb went off in the kingdom and killed a hundred people, and then some rascals went and abducted 240 girls from a school! So incensed was the President by these tragedies that he danced his heart out the very next day at a campaign rally in Kano while there was still grief and shock in the air. Two weeks later, the President’s daughter is honeymooning and the over 200 girls are probably being raped or killed and those in charge don’t give a damn. Shikenan. End of story…so far. While Gov. Nyako is busy hollering all sorts of conspiracy theories as if he did not vote for Jonathan (even exhibiting his ballot paper before casting) and delivering the whole of Adamawa State for him, as if it takes rocket science or black magic to tell the man is clueless (just didn’t know he would go so low as to be dancing when people are dying), the BBC is discovering that Boko Haram is paying gangs in Niger Republic to join them and kill Nigerians(something the Nigerian Intelligence with all the security votes should have figured out, right?) Watch the video here (http://www.bbc.com/news/world-africa-27107375). 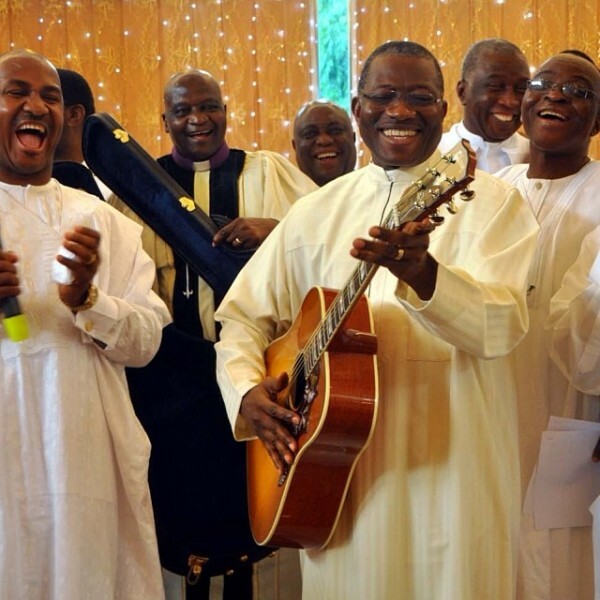 Nothing makes sense in this country, or about this Boko Haram thing. Why was a serving policeman trying to bomb a church during the Easter celebrations in Akwanga (http://tinyurl.com/m954taj). Or what happened to this men who were caught in 2012 trying to bomb a church in Bauchi (http://tinyurl.com/7dxx2rh) Why are we not asking questions? 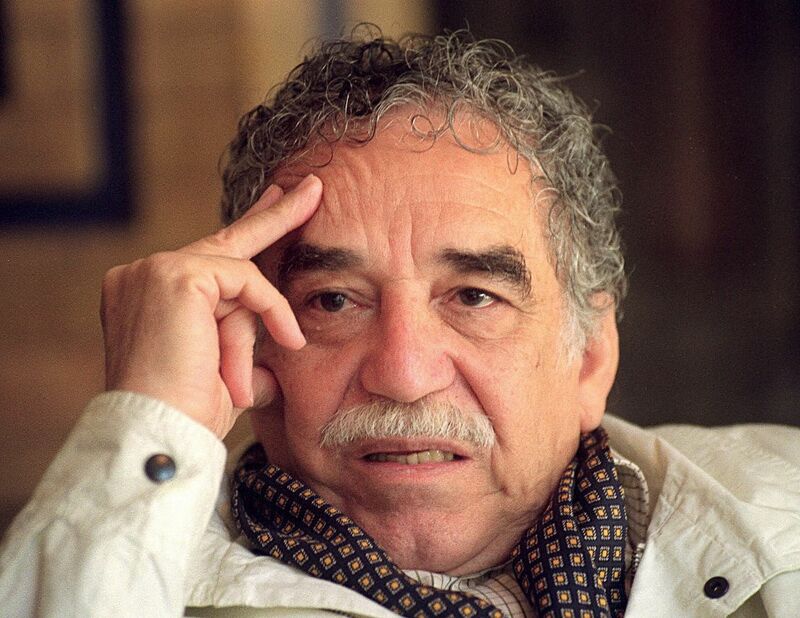 Colombian Nobel Laureate Gabriel Garcia Marquez, affectionately called Gabo, passed away in Mexico City Thursday April 17, 2014. 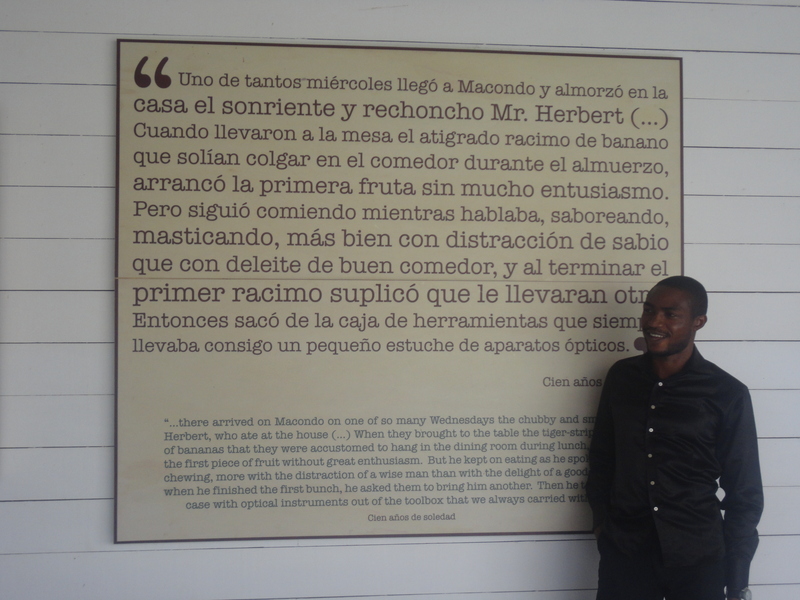 Sunday Trust’s Abubakar Adam Ibrahim, who is also a 2013 Gabriel Garcia Marquez Fellow, writes about his visit to Gabo’s village, the man and his legacy. Sometimes, some people contrive to attain immortality by their accomplishments and become living ancestors. But when such immortals pass into the night, it is always stunning for the generations that have been bred on their legends. I never met Gabo but I felt I knew him intimately. I first encountered his work in 2008 when a friend, who thought there were the faintest hints of similarities between my budding writing and Gabo’s, offered me his novel, Love in the Time of Cholera. I read it and discovered the literary father I didn’t realise I was looking for. I gobbled up everything I could find that Gabo had written thereafter and felt such a connection I had never felt with any other writer before. This connection was reinforced when in January, 2013, as part of the Gabriel Garcia Marquez fellowship, I walked through the streets of Aracataca, the small Colombian village where he was born and felt as if I have been there before, seen the people before. I felt I knew their stories already. Walking those streets was like walking into one of Gabriel Garcia Marquez’s enchanting novels. On the familiar railway platform, an all too recurrent feature in Gabo’s stories, one would expect to see the Colonel, protagonist of his novella No One Writes to the Colonel, sitting on the platform waiting a mail that never comes. What you will eventually see though is the ice house that inspired Gabo to send Jose Arcadio Beundia on a mission to build a city with mirror walls that later became Macondo, perhaps the most famous fictional city in the world, in his most famous novel One Hundred Years of Solitude. You will also see Buendia’s wife, Ursula, sitting, looking into the distance, like one lost in a century of solitude. This Ursula, made of metal, reclines in a little museum dedicated to Gabo in Aracataca. It is a small affair, a disused telegraph office where Gabo’s father used to work. His father too seems like a familiar old friend, and hearing his stories of unsanctioned love for Gabo’s mother, one realises that one had met him through Florentino Ariza, that character who in Love in the Time of Cholera waited 50 years for a woman’s husband to die so he could rekindle his relationship with her. The museum has personal relics that had belonged to the family – a charcoal iron, old personal effects like typewriters, family photos, including those of his father and mother and other household items and of course, the metallic Ursula that Gabo had created with his words. Most of these things the curator told us were thrown out when the Colombian government decided to rebuild the Marquez family house into a museum to honour the Nobel laureate in 2010. The villagers salvaged the discarded items and set up their own museum, which they maintain at their own expenses. The new museum is just on the corner from the old telegraph office. Incidentally Gabo himself never got to visit it. He had been living in Mexico the last 30 years and when he had visited Aracataca, the crowd had been so huge he couldn’t get through. The white walls of the museum bear plaques with excerpts from Gabo’s works. And it is here that one sees the rooms where Gabo’s grandfather, a Colonel, used to sit with his friends and recount their war stories. The curator would show you the window Gabo used to hide behind to listen to these stories, stories that he eventually retold in his own fashion. Even the famous gold fish his grandfather the colonel used to make (those appeared in Chronicles of a Death Foretold) and the room in which he made them are exhibited, as well as the bed in which he was born. The curator would also show you the drawings Gabo had made on the walls and tell you how tolerant his grandmother had been (Gabo himself had said if she had stopped him from drawing, perhaps he would never have become a writer). It is from her that Gabo would learn one of the most important lessons in his life. You see, his grandmother was a great story teller herself, and in the evenings, Gabo would sit at her feet to listen to her tell the most fantastic stories, some of them so outrageous as to be outright unbelievable. But as Gabo told the Paris Review in an interview, his grandmother told her stories with utmost sincerity that one can’t help believe them. “For example, if you say that there are elephants flying in the sky, people are not going to believe you. But if you say that there are four hundred and twenty-five elephants flying in the sky, people will probably believe you. One Hundred Years of Solitude is full of that sort of thing. That’s exactly the technique my grandmother used. I remember particularly the story about the character who is surrounded by yellow butterflies. When I was very small there was an electrician who came to the house. I became very curious because he carried a belt with which he used to suspend himself from the electrical posts. My grandmother used to say that every time this man came around, he would leave the house full of butterflies. But when I was writing this, I discovered that if I didn’t say the butterflies were yellow, people would not believe it,” he told the Paris Review. It is this trick of adding details to the most fantastical things that would serve Gabo well in his literary career and all through his writing he admitted he tried to recapture the tone with which his grandmother told her stories. Her stories and tales of The Arabian Night, the copy he had read as a child is an exhibit in the museum, and of course his grandfather’s war stories sowed the seed of what would later become the most successful literary career the Spanish speaking world had ever seen. The whole of Aracataca has anecdotes about Gabo. The little corner where his father, the telegraph man used to sneak into to court Gabo’s mother, against the will of his grandfather, the church were baby Gabo was baptised and had his first communion. Everything seems familiar here because Gabo had already introduced you to them. Like a true magician, he put his village in the minds of millions across the world. One realises from this experience that Gabo’s stories, fantastical as they may seem, are loosely based on actual events and actual people and perhaps that was why he had succeeded, outselling everything ever written in Spanish, apart from the Bible. A Hundred Years of Solitude alone has sold over 50 million copies. And though Gabo has never claimed to be the father of magical realism, he defined the genre and no mention can be made of the genre without a reference to Gabriel Garcia Marquez. Perhaps this would not have been possible. From the beginning, Gabo struggled to make headway as a writer, even though as a journalist he was carving a niche with his literary journalism. Until he met Franz Kafka. “One night a friend lent me a book of short stories by Franz Kafka. I went back to the pension where I was staying and began to read The Metamorphosis. The first line almost knocked me off the bed. I was so surprised. The first line reads, “As Gregor Samsa awoke that morning from uneasy dreams, he found himself transformed in his bed into a gigantic insect. . . .” When I read the line I thought to myself that I didn’t know anyone was allowed to write things like that. If I had known, I would have started writing a long time ago. So I immediately started writing short stories,” Gabo said in his Paris Review interview. That was the defining moment in Gabo’s literary career. For men like Gabo, and even Chinua Achebe, who have attained the status of living ancestors, their deaths come with a resignation and an immeasurable sense of loss. Achebe’s death last year taught us that much. In their shadows, destinies have been forged, and other have perished. While Gabo can boast of a Nobel Prize, (the prize money he forgot he had in a bank account for 16 years, until his wife reminded him about it and he used it to buy a newspaper house) he had at least two museums bearing his name and a whole section dedicated to him at the Museo del Caribe (Musuem of the Caribean) in Barranquilla, where he spent the other half of his childhood. Such men cast long shadows on their generations and those that come after them. Gabo’s shadow was so huge that a whole generation of Colombian writers were lost in it. Quite unlike Achebe, in whose shadows many thrived, Achebe never enjoyed the honour Marquez did. At the time of his death, the one thing that bore Achebe’s name in his village Ogidi was a small, dusty library, which incidentally had only two pirated copies of Achebe’s novels. Gabo was a man who enjoyed the goodwill of his people and his country, and other countries too, truly appreciated him. This was once more demonstrated on his 87th birthday, on March 6th , when a crowd gathered outside his house in Mexico City to sing him Happy Birthday. He appeared in high spirit, dressed in a suit with a yellow rose, (another recurrent motif in his stories)tucked into his breast pocket and thereafter his secretary handed out yellow paper butterflies to the crowd. Incidentally, that seems now to have been his farewell to the world. Finally, an immortal has slipped into the land of the silent ones.